Initially known for his audacious fusion of blues and hip-hop, Chris Thomas King reached a whole new audience with the Coen Brothers film O Brother, Where Art Thou?, not only appearing on the award-winning soundtrack but playing a prominent supporting character as well. Despite the much-celebrated, down-to-earth rootsiness of O Brother's music, King had previously been a determined progressive, hoping to reinvigorate the blues as a living African American art with a more contemporary approach and adamantly refusing to treat it as a museum piece whose "authentic" forms needed careful preservation. King eventually modified that approach to a certain degree, attempting to create a more explicit link between blues tradition and the general musical present. 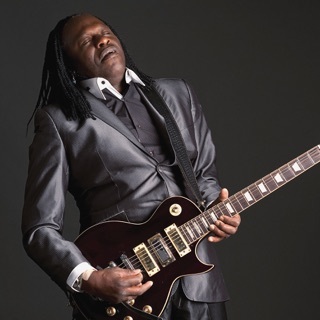 Chris Thomas King (born Chris Thomas on October 14, 1964, Baton Rouge, LA) is the son of respected Louisiana bluesman and club owner Tabby Thomas and thus was surrounded by music from a very young age. He began playing trumpet in sixth grade and learned guitar shortly thereafter, soaking up as much as he could by hanging out at his father's club. 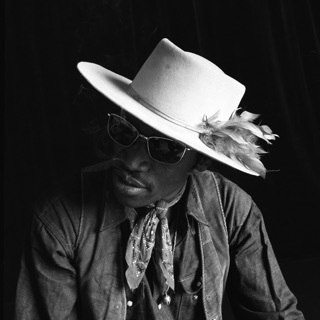 Even so, the young Thomas was still affected more by rock (especially Jimi Hendrix), soul, and early rap music; he didn't really settle on the blues until his late teenage years when he accompanied his father on a tour of Europe and found the audiences much larger and more enthusiastic than he'd ever experienced at home. Upon his return to the States, Thomas (as he was still known) recorded a demo tape that landed him a deal with Arhoolie Records. He played all the instruments on his debut album, The Beginning, which appeared in 1986. Thomas supported the record with tour dates in Europe and Texas, and afterwards he relocated to Austin, where he spent the next four years expanding his musical horizons and honing a more contemporary sound. During that period, Thomas caught on with the Hightone label, for whom he debuted in 1990 with the critically acclaimed Cry of the Prophets. Afterward, Thomas proposed a follow-up project fusing blues guitar with hip-hop beats, rapped lyrics, and DJ scratching. However, parent company Warner -- which distributed Thomas through its Sire imprint -- declined to release the material, having just been burned by the controversy over Ice-T's rap-metal band Body Count. Meanwhile, Hightone wanted Thomas to continue in a more traditional vein and had him re-enter the studio to work on another record; after cutting some material, Thomas abandoned the project due to lack of interest. Over his objections, Hightone eventually released those tracks as Simple in 1993 and despite the unfinished nature of the material, Thomas again received good reviews. Thomas took his rap-influenced material to Sony, which wasn't sure what to make of it and declined to release it. Frustrated, Thomas moved to London in hopes of finding a more receptive record company; when that didn't happen, he traveled to Copenhagen in 1991 and met a couple of Danish musicians who extensively worked on the project with him. Eventually, British producer John Porter (who worked on Buddy Guy's acclaimed comeback Damn Right, I've Got the Blues) heard the tapes and helped set up a deal with RCA/BMG subsidiary Private Music. Thomas returned to the States after a three-year absence, completing the record in Los Angeles. 21st Century Blues...From da 'Hood was finally released in early 1995 and was predictably met with considerable controversy; some reviews were highly complimentary, but many festival and club promoters refused to book Thomas at all. He did find success on the concert circuit in Europe and upon his return to the U.S., he began billing himself as Chris Thomas King. King debuted his new moniker on a self-titled album for Scotti Brothers in 1997, delving deeply into the funky, gritty sound of Memphis soul. The follow-up, Red Mud, appeared on Black Top in 1998 and found King returning to the roots of the blues with mostly acoustic, folk-blues-flavored material. By this time, King was regularly playing around Louisiana, often backed by a bassist and DJ. This setup provided the foundation for his next record, 2000's Me, My Guitar and the Blues, which combined most of King's previous interests -- electric and acoustic blues, funky soul, New Orleans R&B, and hip-hop -- into a more integrated whole. In late 2000 came King's breakthrough. For their Deep South retelling of Homer's Odyssey O Brother, Where Art Thou?, the Coen Brothers cast King in the prominent supporting role of real-life Delta bluesman Tommy Johnson, who claimed to have sold his soul to the devil at the crossroads even before a similar legend spread about Robert Johnson. King also recorded an eerie version of Skip James' "Hard Time Killing Floor Blues" for the soundtrack, which became an unexpected multi-platinum sensation over the course of 2001 and won a surprise Grammy for Album of the Year. King also appeared on Down From the Mountain: O Brother, Where Art Thou?, a live album featuring many of the O Brother artists. All the exposure helped raise King's profile considerably and although he didn't completely stick to a more traditional approach for his next project, it was clear that his recent immersion in early blues was having an impact on his music. 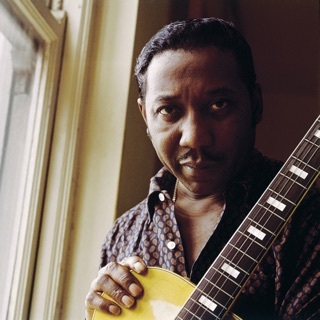 Released in 2001, The Legend of Tommy Johnson Act I: Genesis 1900s-1990s was the beginning of a sweeping historical overview in which King hoped to cover as many different blues styles as possible for the benefit of his newfound audience. King returned to acting, portraying Lowell Fulson in the Ray Charles bio pic Ray, started his own record label, 21st Century Blues, and released the funk-laced Why My Guitar Screams & Moans album in 2004. A restructured version of 1998's Red Mud called Red Mud Sessions appeared in 2005 from 21st Century Blues, followed by Rise in 2006.